By far the safest way to achieve a tan is through ‘sunless’ tanning products. In our book there is nothing wrong with wrinkles on men, but who wants to look rough when they can look rugged? As a rule most men look better with a healthy colour. 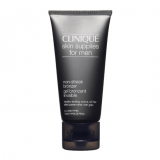 HIGH TECH formulas are available that are engineered for the specific needs of men. They create the illusion of radiance and good health, even if our diet and lifestyle would disagree and can be a great alternative for those who burn easily. There are now products available to suit every skin tone and type. HOT GUYS combine sunless tanning products with high protection factors ( SFS ) when they are in the sun, if we pay our skin some attention now it will thank us later. DON’T COMMIT initially. Choose from a range of wash off products first. That way any initial mistakes can be washed down the sink or showered away. 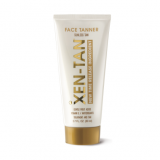 – Choose a self tanner to suit your skin tone, then wash and exfoliate your face and body thoroughly before applying the product. 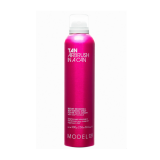 This stops the tan being uneven and blotchy. It will take most products two to five hours in order to see the full effect. "Perfect natural looking colour for the face." "Streak free formulation, kind to skin and sheets"
"Best tan in a can with easy application"
"The classic, suitable for all skin tones." "Best for gradual build up"